The X333A-25-15-JP is manufactured by Oracle Sun Microsystems. Let Econram be the single point of contact for all your IT needs. We will deliver the right IT Hardware at the lowest cost. And not only will we help you obtain quality products to fit your current IT needs, we also help to ensure they fit your Data Center plans for the future. Please contact us to discuss your Sun X333A-25-15-JP Hardware requirements with one of our Sun Technicians. We will fully explain the process and advantages of upgrading or replacing your current IT infrastructure. Whatever your needs, Econram can help your company find the right cost effective solution that’s covered by a full 1 year advance replacement Shield+Tech warranty and support. 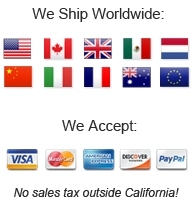 We will test and ship your Sun X333A-25-15-JP equipment same day on orders placed before 2PM PST. Use Econram Systems’ online REQUEST-A-QUOTE feature for time-saving (and money-saving!) pricing. Fast Worldwide Shipping We maintain large inventories of Oracle Sun equipment and parts including the X333A-25-15-JP , providing rapid delivery throughout the World. 30-Day Money Back Guarantee Your Satisfaction Is Our Top Priority! Government GSA and United States Military Standard We supply some of the largest contractors and military organizations such as Boeing, Lockheed Martin, Raytheon, NASA, Northrop Grumman , SAIC, General Dynamics, US Army, US Navy, US Marine Corps, US Coast Guard and many more. MIL-SPEC, MIL-STD SERVICES Since 2002 Contact us for references! We gladly provide major Discounts and GSA type pricing to the Government, Military, Schools and Non-Profit Organizations as well as Volume Discounts. Send us your RFQ’s and RFP’s to receive a fast Price Quote. We deliver same day to all major cities in USA, as well as provide technical support, system maintenance and installation support. Econram Systems ships daily to Americas, Europe, Middle East and Asia Pacific.